Examiner.com has this short article up noting the return of DC's letter pages. The reaction there, like so many others, is positive. But what I find uniquely interesting about the Examiner's take is the callout of former letterhack T.M. Maple in the title. 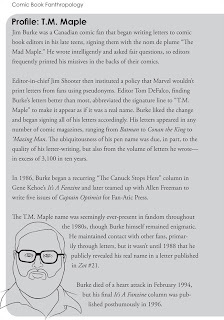 Maple was indeed a well known name among comic fans throughout the 1980s, but as that was a pseudonym, I doubt very many people outside comicdom are familiar with him at all, so it doesn't make sense to name-check him to a broad audience. Furthermore, he passed away in 1994, which is clearly stated in the article, so why would you premise an article by suggesting that he return, when he obviously can't? It just seems like a very strange approach to the article. 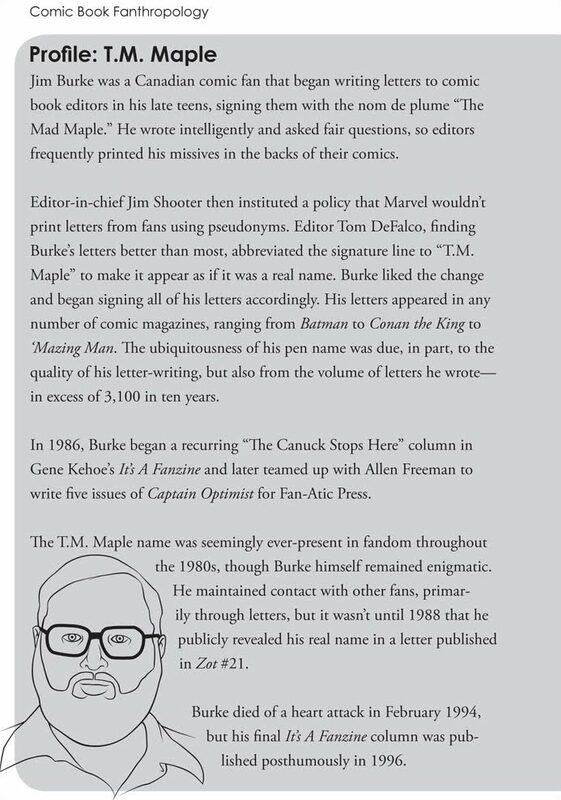 I don't have a real opinion on DC's actual letters pages; I don't read DC books with any regularity. But I am curious about the decisions some people make with regard to presenting comic fandom to the rest of the world.